Republican businessman Mark Greenberg will make a third run for Congress in Connecticut&apos;s 5th District, the Hartford Courant is reporting. 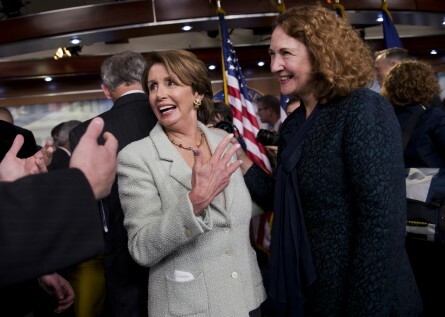 If Greenberg wins his party&apos;s nod in 2014, he will challenge freshman Democratic Rep. Elizabeth Esty. This western Connecticut district is competitive and the Democratic Congressional Campaign Committee recently named Esty part of its Frontline incumbent protection program. "America now is not the same country that I grew up in — where, most importantly, you rely on yourself and not the government, and what you achieve, you achieve through your own hard work and not some handout," Greenberg said in an interview with the paper last week. Greenberg has run twice before, in 2010 and 2012, and lost in the primary each time. Last cycle, the GOP&apos;s eventual nominee, Andrew Roraback, was widely viewed as the most electable GOP candidate in that primary. It was a close race, but Roraback&apos;s efforts could not overcome the wave that ejected New England Republicans across the ballot last fall. This cycle, however, Greenberg could have an easier path to the nomination. Earlier this month, Nutmeg State lawmakers confirmed Roraback&apos;s nomination as a state superior court judge, according to the Register Citizen newspaper.